When I first came across this opportunity, I even have to admit that I was surprised by it. Before coming across this program I had never heard about the act of cash giving until I saw toodamneasy.com for myself. TooDamnEasy is a program that I knew I had to review simply because this opportunity is just as outlandish as it sounds. Just follow along with this TooDamnEasy.com review to see everything this “opportunity” really has to offer. Advertised Price: $2,000 Just To Start! TooDamnEasy.com is a website that offers a cash gifting system that was originally created by a man named Q. 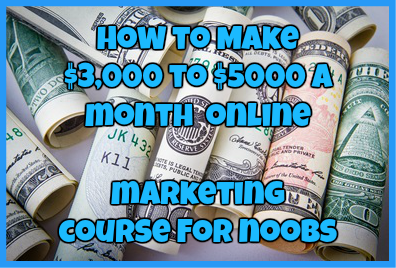 While this so-called “opportunity” may have worked back in the late 90’s early 2000’s, this is not going to work for anybody now, especially if they are looking for legit and honest ways to make real money online. Just like with anything in life, you need to be willing to put in the work hard and determination needed to succeed online. It doesn’t matter if you join an online marketing company or an MLM opportunity, you need to put in the necessary work to be successful and to gain referrals so you can make money with this program. While this program sounds really promising, I doubt anybody is honestly going to be willing to fork over $2,000 to someone as a “gift” just like that. Toodamneasy work by “giving away” anywhere from $2,000 all the way up to $18,000 plus fees to your referrals and to the company to cover the initial entrance cost for this program. The system within the program itself is said to be a system that helps you to promote the opportunities to other and have those people sign up to the program through you. So, for example, let’s say that you buy into the program for $2,000. You will then have to turn around and use the same tactics used on you to refer others to the program. Your referrals will buy into the program for $2,000 and that money will go to you. Technically speaking, there is nothing wrong with this concept of gifting cash. In fact many people do this all of the time, but most people won’t refer to it as cash gifting. Why? 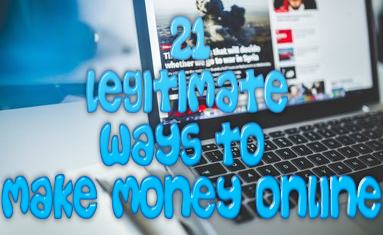 Because there are certain rules and regulations that you need to follow depending on where you live and these rules will determine how much money you can give. It means that you can give cash as long as you do it without expecting to get it back from the person you are sending it to. This means that the moment your fork over $2,000, you must not expect it to get it back to the person you gave it to in the first place. However Too Damn Easy tries to get around this using loopholes, which in my opinion rests on the border of what is legal and what isn’t legal. I Have No Clue Who Q Is! I have looked thoroughly into this program and for the life of me I have yet to see who he is, what he even looks like and I actually don’t have any means that I can utilize to tell you whether or not this guy is even credible. In order to see if this program is honestly legit, I have to go by my own experience and so far…. I have come to the conclusion that I and everybody else cannot trust somebody who actually doesn’t reveal who they are. But unfortunately, the sales video for this program seems to distract people from this fact and instead has them craving for the money that is promised within the video. However, I am not one that is willing to take this kind of risk and to be honest the fact that I cannot trust this Q is the main reason why I can’t take this risk. There is too much at risk. And I know I am not the only one who feels this way. There has been a lot of speculation regarding whether or not how legal cash gifting really is. This is where a pyramid scheme comes into play. Basically you are paying into a program with the promise of making more money the more people sign up to it as well. That is the definition of a Ponzi scheme and even if the program itself only cost $1, it would still be considered a Ponzi scam. Eventually somewhere down the line, somebody is going to get screwed out of the money that they are promised. It will end eventually and the people who work hard to promote it and make other people money are going to be the ones that get burned in the end. Basically you are going to be building a chain and those at the end of it are going to get burned out of the money they deserve. Does this really sound ethical to you? There are not many complaints out there that I could find on this program simply because I doubt that anybody would invest $2,000 in a program where they are essentially just giving someone money as a gift. However, I was able to find one complaint and this is one that I was able to find on RipOffReport.com. Just check it out for yourself below. Look, I have been working online for a while now and I can spot a potential scam from miles away. That being said this is not a program that I can recommend simply because of its overall business model and the amount of risk that is involved. I can’t recommend it because at some point, this business model will not last forever and someone eventually will lose out of $2,000 and I don’t want that person to be you. And I know I’m going to get some heat for hating on this opportunity. Believe me, I do believe that you can make money on it. I read Q’s review for myself. I still wouldn’t be caught dead in this kind of program. So, with that being said I believe that this program is a downright scam (or on its way to becoming one) and it is a program that should be avoided at all costs! Have you had personal success with Too Damn Easy? If so, I would love to hear about your experience. Just drop me a comment below! ← Global Domains International: How Great Is This Online Opportunity?